Who are yogis? Twenty years ago the answer to this quesion sounded something like this: "Indian herments and fringe elements who can sleep on beds of nails, tie themselves into knots and stand on their heads". But today yoga is popular among trendy Russian youth. No fashionable fitness club in Moscow or other major cities can do without a yoga instructor, and one may even find queues for yoga mats at sport shops. Prohibited during the Soviet era, yoga is becoming more po pular in Russia. In Moscow and St Petersburg alone, according to the publisher of the Russian version of Yoga Journal, there are at least 100,000 people who practice yoga regularly. Among them is President Dmitry Medvedev! Having told Tainy Zvyozd (Secrets of the Stars) magazine that he can even do a headstand (shirshasana), Mr Medvedev stirred up a surge of enthusiasm both among long-time yoga fans and neophytes who decided to commit to this physical and spiritual discipline that is not a traditional part of Russian culture. These days there are no obstacles. Few people remember the Russian trailblazers who mastered yoga on their own from translated books and tried to share their knowledge and skill with others in Soviet times, when the price for this could be losing a good job, material well-being or even one's freedom. Professor Vasily Brodov, the first chairman of the Yoga Association of the USSR, had first-hand experience with all of this. The path towards this Indian philosophy and yoga was not an easy one for him. A native of Moscow (1912), he graduated in philosophy at the Moscow Institute of Philosophy, Literature and History in 1938, but he never even dreamed in those times that India would become his life's work. 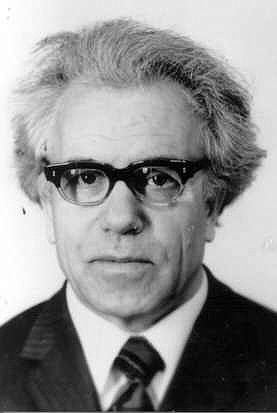 His gravitation towards free thinking and participation in intellectual gatherings led Brodov, a young philosophy professor at the time, to the infamous Gulag prison camps, where he was incarcerated at the start of World War II. Brodov continuously applied to be sent to the front. At first, the camp administration replied with an unequivocal "no," but as the situation at the front became more desperate, prisoners were thrown into the front lines in penal battalions. In an artillery unit, Brodov marched from Ukraine to Berlin and miraculously survived. Prison and fierce battles behind him, Brodov's severe wounds after all, he "paid his dues to the Motherland with his blood" served as a lifetime reminder of his hard-knock youth. His life was not a bed of roses even after the war. Having finished his post-graduate studies at the Institute of Philosophy, USSR Academy of Sciences, and defended his thesis on a subject that was in demand given the Communist regime ("John Dewey's instrumentalism in service of the American reaction"), he was nevertheless practically exiled to the city of Saransk by an assistant professor in the philosophy department of a pedagogical institute. He was bandied about from one institution of higher learning to another and deemed "unreliable." Still, the talented exile was able to become a lecturer at the department of dialectical and historical materialism of the natural sciences division of Moscow State University (1962 - 1966). Brodov's brothers-in-arms remember these as "the most fruitful years of his academic and teaching career." It was during this time that he came to know India. The subject of his doctor's thesis, "Progressive social and philosophical thought in India in the New Era (1850 - 1917)," which he successfully defended in 1964, was suggested to him by academy member Georgy Alexandrov, director of the USSR Academy of Sciences, Institute of Philosophy, with whom Brodov was fortunate enough to work. Brodov's dissertation was a tremendous breakthrough not only in Soviet Indology, but it was also recognised by the German Indologist Walther Ruben as the first systematic research into the history of Indian philosophy in the late 19th and early 20th centuries. Later on the basis of his doctorate thesis he wrote a monography "Indian Philosophy in Modern Times" which was translated into English and distributed by Soviet "Progress Publishers" with two editions. One notable event in his life was a meeting with Indian President Sarvapalli Radhakrishnan in 1964 at Moscow State Univer sity. Brodov delivered a welcome speech for the president and gave him a copy of the book "Ancient Indian Philosophy: The Early Period," the first in the series "Philosophical Heritage" translation into Russian from Sanskrit of the ancient Indian texts of the Upanishads. A team of translators worked on the book, and Brodov wrote the preface and extensive commentary on the ancient texts from a philosophical point of view. The new subject matter steered the recently awarded doctor of philosophical science onto the right track. In 1966, having become the head of the philosophy department of the All-Union Extramural Engineering and Construction Institute (now the Moscow Institute of Municipal Economy and Construction), the professor continued to work in Indian philosophy and as an academic secretary, participated in preparing "The History of Philosophy" for publication. Brodov penned individual chapters on the history of Indian philosophy in this six volume work, published in full in 1965. In the same period, in the early 1960s, Brodov was fortunate to meet renowned Indian guru Dhirendra Brahmachari, who was invited to the USSR to research the possibility of using yoga to train Soviet cosmonauts. Brahmachari gave the cosmonauts lectures and practical lessons in closed sessions, which Brodov was able to attend. Interacting with the guru, mastering the asanas and pranayama had an almost immediate salutary affect on the former frontline soldier's health. Professor Brodov, the philosopher and Indologist who had discovered yoga, which he called the "fruit of the creative genius of the Indian people," dedicated the rest of his life to promoting it in his home country. He took every opportunity to impart his countrymen with some knowledge of the ancient healing art, despite disapproval from the authorities. And from time to time, he was able to cut through the Iron Curtain! "Vasily Brodov stood at the epicentre of the struggle for official, albeit indirect opportunities to study and promote yoga in the USSR," said Viktor Boiko, one of the yoga teachers of perestroyka time. Intersting to note the history behind the writing of the article "The Teachings of Indian Yogis and Human Health in Light of Modern Science," which was published in the digest "Philosophical Issues in Medicine." The digest was published in 1962 with the approval of the ideological department of the Central Committee of the Soviet Communist Party, which was concerned that the seepage of information on yoga into the Soviet Union was an indirect consequence of the political rapprochement, and subsequent economic and cultural cooperation, of the USSR with the Republic of India. Communist ideologists did not want anything to do with the introduction of any system of personal development for the population, because it was contradicting the system of limiting the intellectual growth of common people. "Through the practice of yoga, Dr. Brodov had by that time improved his health, which had deteriorated during his time in active army duty, penal battalion as well as in his post-war exile," recalled Boiko. "And being the actual executor of the state order, he nevertheless understood that his task created an opportunity to provide at least some information about Indian yogic tradition in a government publication. As a result, this article became the first official publication on yoga since the death of Stalin and under the Soviet system in general, making it unique." This opened the door to a whole series of articles on Indian yogis in various publications, including the authoritative "Scientific and Atheistic Dictionary," (Moscow, 1969) and the magazine "Science and Religion" (1962, No. 4). Brodov was also the co-producer and chief consultant for the documentary film "Indian Yogis. Who are they? ", which was distributed in the USSR in 1970, and created an explosion of interest for yoga practice. However, the film had not been approved by the authorities and was shelved for many years. Brodov wrote the following on the making of the film and the subsequent reaction to it: "The years of personality cult and stagnation in our country were also a time of strong negative attitudes towards yoga practices. The official line stated that yoga, from the point of view of its philosophy, is pure idealism, religion, mysticism, and in practice, it is quackery, hoodoo and acrobatics. We, as the filmmakers, had the intention, at first, to introduce to the Soviet people a unique phenomenon of ancient Indian culture, and, at second, to prompt our scientists, especially those from biological and medical sciences, to think about the human potential.' Third, we wanted to motivate the experts into gleaning from yoga the rational core that could serve as an additional source of health. Unfortunately, for ideological reasons during the period of stagnation, the intention did not meet with our expectations. The more influential officials at the Ministry of Health and the State Committee for Sport had an unequivocal reaction to the documentary. They called it the propaganda of idealism and religion. The result of this criticism is evident, they crucified yoga as not of our ideology and it was banned." In the early 1970s, a group of scientists and public figures, including Brodov, tried to influence the System by writing an open letter to General Secretary of the CPSU Central Committee Leonid Brezhnev and Chairman of the Council of Ministers of the USSR Aleksey Ko sygin with a request to legalize yoga and establish a yoga therapy scientific research institute. Well-know medical doctors, scientists, journalists and cultural figures signed the document, but the initiative produced no visible results at the time. "However, not all Soviet people shared the opinion and motives that led to the ban," recalled Brodov later, in his tenure as president of the USSR Yoga Association, which was established in 1989. "Many people practiced hatha yoga on their own at home and in private. Translations of foreign literature the so-called samizdat (the secret publication and distribution of government-banned literature - ed.) served as instructional aids. Following the perestroika years, "yoga health groups" started popping up everywhere. Among the leaders of the groups, the more enlightened and gifted ones became real teachers and gurus." It is true that the newfound openness brought a lot of rubbish to the surface. Among those who called themselves gurus were many impostors and people far removed from real yoga who were conning people to make a living. Professor Brodov, not wanting to be associated with these people in any way, resigned his chairmanship. Despite not holding an official position, Brodov remained a recognised authority among Russian practitioners of yoga. Incidentally, in the 1990s, in the so-called "era of hard times," in his twilight years, Brodov said that the revival of Russia would only be possible on a path of growing nationalist sentiment, and he drew clear parallels to the Indian independence movement. He was sure that modern Russia could succeed by replicating the Indian experience of revival and the retention of nationhood. At first glance, the most paradoxical aspect of Brodov's biography is that he never visited India. However, this is easily explained. One only need consider the times in which he lived. His friends and relatives recalled that in the 1970s, he was frequently invited to philosophical conventions abroad, including those in India, but for some reason perhaps because of his time in the Gulag or because of the secret programme of yoga practice for cosmonauts he was not allowed to leave the USSR. Brodov received the last invitation to visit the land of the yogis and maharajas in the early 1990s from the Ramakrishna Mission Institute of Culture. But his health no longer allowed long distant flights, and he never did see India with his own eyes. Nevertheless, his colleagues note that inspite of a hard life, Vasily Brodov always remained good-natured and cheerful personality with a subtle sense of humour. He maintained his physical and mental health with daily yoga exercises that he had mastered himself. Professor Brodov himself wrote: "Yoga is a system of self-regulation and self-improvement of human personality, and here I can refer to my own experience. After WWII I returned wounded and ill from the front lines in 1945. The doctor who prescribed my medicine reassured me, "You've got another 10 or 15 years to live..." Unfortunately, prescribed medicine helped very little. Illnesses that became more acute, cardiac insufficiency, radiculitis, salt deposits, kidney stones and many others forced me to try hatha yoga. Studying primary sources and consulting with Indian experts helped me master the elements of this physical therapy. As a result, all of the ailments that were troubling me disappeared. They disappeared without the aid of doctors or medicine. Today, being 78 years old, I give my heartfelt thanks and deepest respect to the great people of India for giving yoga to humanity."